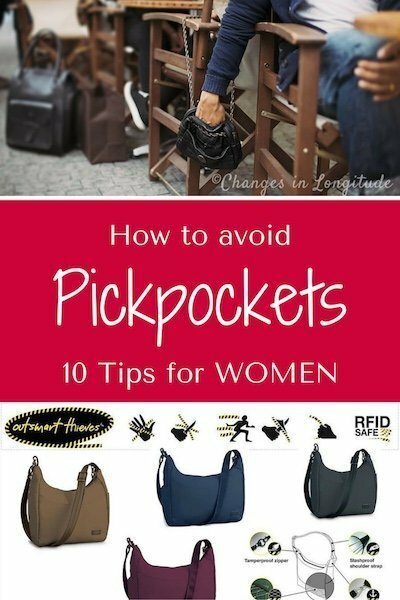 Unlike strategies for men carrying wallets, here are my favorite tips for women to avoid pickpockets. I’ve seen all sorts of wacky gadgets for protecting valuables, including the mind-boggling “bra stash,” which must be uncomfortable (not to mention awkward when purchasing souvenirs). But with common sense and a few simple strategies you can keep your valuables safe. Keep it simple: I use a simple basic purse suited for travel. 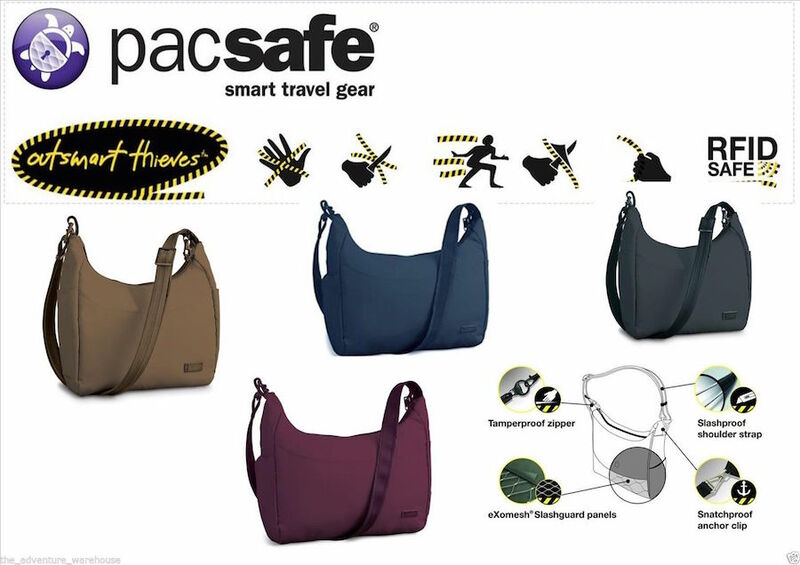 Bags by PacSafe offer many clever safety features to foil would-be thieves and are my favorite traveling purse. However, even a thief-proof bag can be stolen from a distracted tourist so always be aware of your surroundings. Ditch the big wallet: Only bring the few credit cards you might use on vacation, along with some ID. Wallets full of store credit cards and other home-based necessities add useless bulk while traveling and are a nice chunky target for pickpockets. Use a bag with a zippered closure: Never carry a bag with a simple snap or flap closure. It’s too easy for prying hands to slip inside. And remember to keep that zipper closed. Or better yet, clip your purse shut: Thanks to Debra in Philadelphia who suggested this tip. She uses a paper clip to lock her zipper tag to the metal loop thats holds the shoulder strap, creating an additional barrier to entry. Never put your bag down: Even at a nice restaurant bags can disappear. (It happened to me years ago.) I keep mine slung over my shoulder and in my lap (another reason for the small size), or loop it around my leg when I place it on the floor. Wear your bag crosswise: Bags simply slung over the shoulder or carried by the handle make it easy for purse-snatchers to grab and go. Backpack-style bags are a ready target for slash-and-grab. Get a bag with a long strap that will fit comfortably crosswise across your torso, resting on the front of your hip. In busy areas keep your hand on the bag. Don’t get pickpocketed electronically: New credit cards with RFID (Radio Frequency Identification) can be scanned while still in your pocket. Purchase cheap RFID sleeves to slide your cards into and foil electronic pickpockets. Keep it small: It’s easier (and more comfortable) to guard a small bag than something big and bulky. I use a separate tote or daypack to hold water, guidebooks, etc. Planes, trains and automobiles: Anytime you’re in transit the odds are increased of being pickpocketed. A friend of ours was dealing with a stubborn turnstile in the Paris Metro when she noticed a man reaching into her purse. Fluent in French, she yanked her purse away and chastised him. Train stations and airports are likely places to be flustered over a connection. 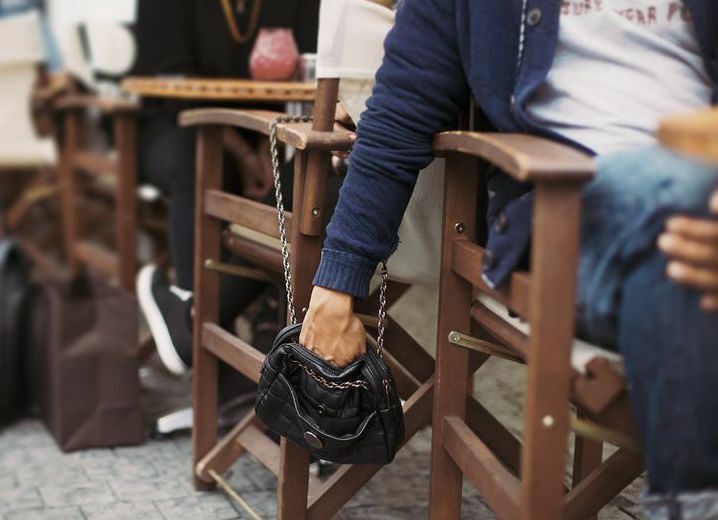 It’s easy to place your purse on a seat next to you without watching it carefully. No matter what mode of transportation (even taxis) make sure your wallet doesn’t slide out–another reason for that zippered closure! 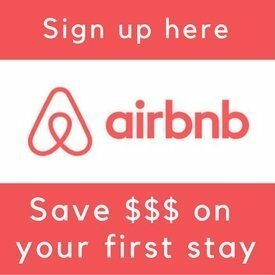 These strategies soon become second nature, allowing you to enjoy your vacation without constantly worrying about your valuables. 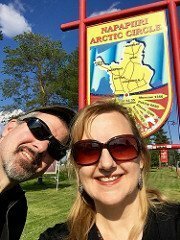 Please provide any suggestions from your travels below. Here’s Michael’s guide for how men can avoid pickpockets. And here’s our cautionary tale about encountering pickpockets on the Buenos Aires subway. 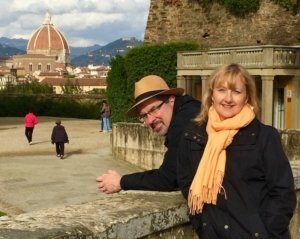 Larissa and Michael Milne are your typical middle-aged couple from Philadelphia who’ve been traveling the world full-time since 2011, seeking off-beat, historic and tasty sights. 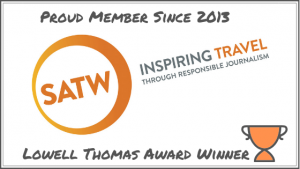 To receive our free quarterly newsletter with updates and valuable travel tips subscribe here. 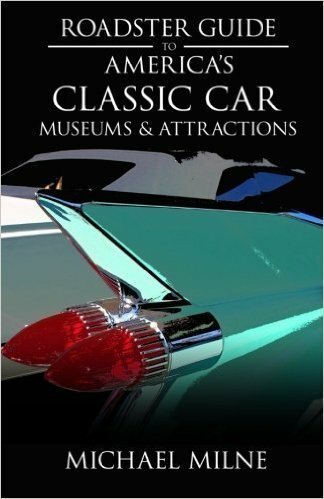 Please note: There are links to Amazon and other companies on this blog to purchase items, most of which are travel related. We earn a very small commission on these sales and it does not affect your price for the item. These small commissions are one way we can continue this blog and provide readers with valuable free travel advice.